Frederick Construction was founded in 1991 as a commercial builder in Southwest Michigan. In the years since, Frederick has evolved into an entirely driven general contractor/construction management team with capabilities to handle complex, demanding commercial construction projects. We are proud of our long track record of building trust and relationships that turn clients into friends. Attentive listening is how we do it. This is how we get to know our customer's needs and fulfill them, “typical” or “generic” is not a part of the Frederick Construction vocabulary. Every owner has different requirements, requests, and priorities that make each project unique. Our employees are experts at pinpointing the unique challenges of every job. They work together with the project team to flag potential delays and design flaws. We treat our responsibility to create a team environment very seriously. A focused, disciplined team is how we control the project budget, manage subcontractors’ contributions and provide the highest quality for a fair price. In two decades of managing projects, we have never failed to complete one on time. We continue to be successful because we’ve put our attitude in sync with the realities of today’s market. We’re flexible and ready to go where the work is—wherever that may be. 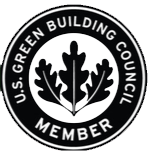 In addition to our LEED accreditation (Mike Frederick), Frederick Construction holds a Class B license in the state of California; we are also licensed in Washington, Wisconsin, Illinois. Michigan, Alabama, Arkansas, Kentucky, and Louisiana.